Be Encouraged, Enlightened, Enriched, & Energized! The above four elements of our ministry encapsulates our mission to assist you in living the abundant life Jesus intends for all in John 10:10b: "I am come that they might have life, and that they might have it more abundantly." By the guidance of the Holy Spirit and the instruction of God's Word, the Holy Bible, we endeavor to transform and liberate lives through Kingdom sounds, teachings, publications, inspirational fashion, media and graphic expression. 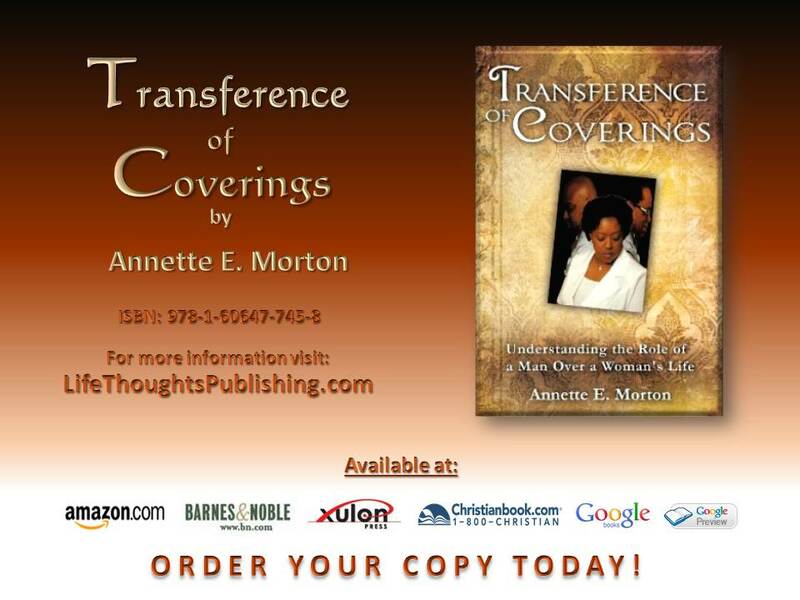 LifeThoughts Publishing currently markets the paperback version of Transference of Coverings by Annette E. Morton and expects to release its revised version initially as an eBook. In the making also are inspirational poetry books and a devotional as an addition to the Transference of Coverings series. Coming soon! The current paperback version of Transference of Coverings is available from our LifeThoughts Publishing Square Market and through Amazon.com, B&N.com, XulonPress.com, Christianbook.com, Google Books, Books-A-Million, IndieBound and all major international distributors. All KINGDOM SCRIBES (believers who minister in writing, spoken word, or songs and psalms, Matt. 13:52) MUST read and study The Holy Bible and applicable Scripture resources such as Hebrew Greek dictionaries, accurate study Bibles and commentaries, concordances, etc. 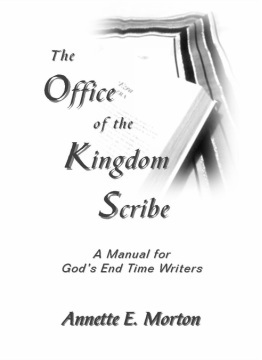 The basis for any writing project as a Kingdom Scribe must be sharing God's Word in its proper context in complete, appropriate application with the ability to provide the old and the new revelation and wisdom from God to develop His people. Therefore, study, pray, listen to God...then obey and convey! I encourage you to write with Divine Purpose for your audience!